As an industry leader and well known Australian brand, Coates Hire does not go unnoticed in our everyday travels. You’ve probably seen our orange-coloured equipment on highway upgrades and at major construction projects. 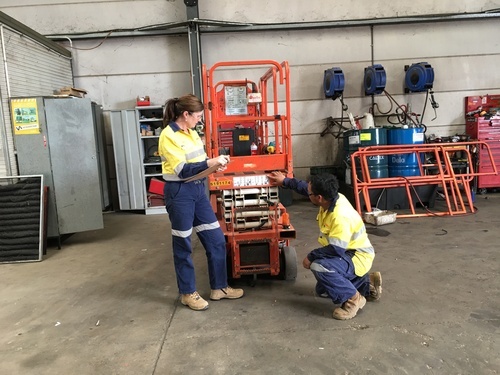 That’s us - Australia’s largest equipment hire company, with 150 branches around Australia, employing approximately 2,000 employees and an equipment fleet worth $1.7 billion. We’re also a company that focuses and cares for our people. 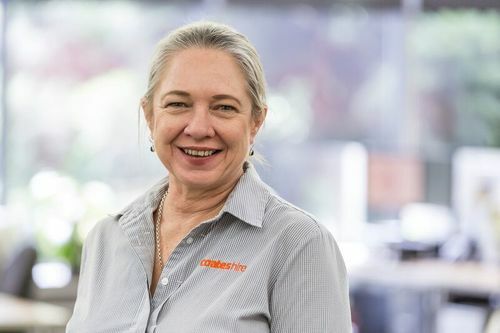 We believe that our greatest assets are our people, who ensure that our customers get the right equipment, at the right time and at the right price. As a company who has been operating for more than 130 years we see ourselves as an employer of choice - here’s a few reasons why. Gender equality, diversity and inclusion is something we at Coates Hire are continuously focusing on. Female participation accounts for almost 17 per cent of our workforce. We believe that diversity of thought makes a significant contribution to the success of our business, through roles as diverse as front line operations and sales, safety, leadership, corporate and IT. With a strategy focused on our people, our ongoing aim is to continuously increase female participation across all areas of our business. We foster an inclusive and supportive environment so that all of our people can build great careers here. What does this look like in practice? A recruitment process based on merit and inclusiveness. This is showcased across all areas of our business with female Branch Managers, Customer Service Team Leaders and Senior Leaders across the business. We’re also proud that we have a female executive on our Executive Team. In 2015 we introduced our Parental Leave Policy. This affords primary carers 12 weeks paid leave, plus a return-to-work lump sum payment of six weeks after four weeks. More than 65 women have accessed this during their parental leave and 60 per cent of those people have returned to work to continue their careers. We also support families, our secondary-carer leave can extend to ten weeks and over 160 employees have taken this leave since April 2015. Coates Hire understands that our people require a work/life balance. Our various leaders drive this within their teams, offering in some locations, Head Offices and sites, the ability to split shifts throughout our 7am- 5pm trading hours. This is something our people tell us is a valuable offering that assists in juggling out of work commitments. At Coates Hire we want our people to be happy both at work and within their personal lives. We understand that ‘work-life balance’ means real pressures away from the workplace so we have a dedicated Employee Assistance Program for employees needing extra consideration over personal life matters as well as a Manager support line. We also have a dedicated Health and Wellbeing team who are responsible for managing and communicating many initiatives including, bowel cancer screening, cancer awareness days, exercise activities like the 1,000 Step Challenge, smoking cessation programs and a partnership with the Black Dog Institute. 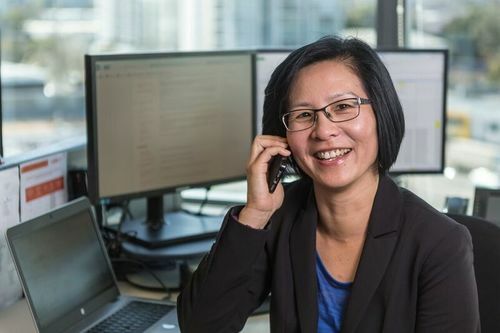 The team also manages our Mental Health and Wellbeing support program offering not only time off for employees, but also $5,000 available for each employee, to pay for treatment plans. Coates Hire provides a range of benefits for all of our people. These include study assistance for our defined top talent performers, secondment opportunities, as well as a recognition program congratulating and rewarding our employees all year round for a job well done. Through our HR Rewards Team we also partner with various organisations to provide competitive rates for travel, accommodation and purchasing. Many people start at an organisation but they can’t see how to progress upwards or gain extra training. At Coates Hire we invest in our people through an ongoing career development plan that our employees own. As an employee of Coates Hire and with the support of your Leader, you can map out your career and tell us where you want to go. Many of our employees have travelled the country thanks to our large geographic footprint and scale and worked across various areas of the business. 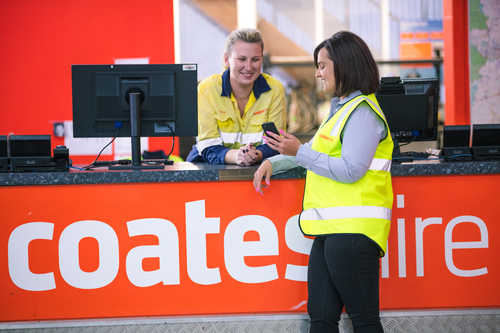 While Coates Hire is Australia’s largest and most established equipment hire company, we serve our customers in a breadth of industries including construction, infrastructure, civil, resources, manufacturing and government. Coates Hire has been a big part of helping Australia build a better future through major project works such as roads, communities, bridges and national buildings. With jobs across the country and across various different teams, the people we work with, along with our diverse customer base means no one day is the same at Coates Hire. Our Leadership Team is committed to making this a great brand for our customers by first making it a great place to work for our people. This includes an initiative to encourage and develop People Leaders, through a combination of online, face to face and external training and development programs. Our talent program also helps to identify our future leaders and prepare them for their next role. Coates Hire understands that with such a large workforce, spread across the country, it’s easy to overlook the hard work and the daily wins that our people achieve every day and how their efforts contributes to our broader business strategy and success. We have a structured program in place to ensure employees are recognised and rewarded for what they achieve. At Coates Hire, we’re all in this together. At Coates Hire we believe there’s nothing that can’t be done safely. Our safety culture means all our people live and breathe our most important company value: Safety First. To keep our people safe, we’ve invested significantly in safety learning, coaching and behavioural development. This includes everything from protective clothing, to hazard identification and job safety assessments, as well as the fundamental goal that all our people should go home safe.